As a family psychologist, I’m always interested in learning about different therapeutic approaches to helping kids. In this issue of Family Matters, let’s talk about one approach that receives much less attention than it deserves – therapy involving animals, especially pets. Animals can help reduce the vulnerability children feel when they are working on different types of behaviors or emotional challenges. Whether you have to talk to your child about “all the missing cookies” or a more serious matter, the presence of a pet can go a long way toward reducing his or her discomfort and self-consciousness. Being able to hug a dog or pet a cat while dealing with some tough issues helps to limit the feeling of “being on the spot.” The warmth of an animal’s body, the softness of its coat, the very fact that it is a living thing provides an opportunity for emotional relief and connection. Many pet owners say they enjoy the unconditional love an animal provides. What is perhaps more important is the opportunity a pet provides to express love. I’m not suggesting that you immediately rush off and buy a pet if your child is dealing with behavioral or emotional challenges. But if your family would like a pet and can make the commitment to provide it with a good, safe home; it’s worth considering. Your child may enjoy researching different animals and planning for its care. Many parents have learned that pets are an excellent way to build empathy as well. Taking care of the family pet, or a stint dog-watching or cat- sitting for a neighbor might be a child’s first job. Children sense that living things require greater care on their part and usually rally to meet expectations when they’ve been given a sense of responsibility for an animal: picking its name, selecting its collar, choosing special pet snacks or toys at the grocery store. Animals serve both as real companions and as potent symbols that wind their ways deeply into children’s minds, providing a health opportunity for emotional projection. Why else would animals show up so frequently in children’s art and stories? Some studies have even shown that the presence of a dog while learning to read or play the piano helps accelerate those processes. This makes sense to me. So much of what children struggle with during learning is a lack of fluency brought on by their own self-consciousness. Anxiety inhibits the neural connections that make learning easier. Isn’t it harder for all of us to learn something if we are worried about doing it well enough? The presence of an animal reduces that self-consciousness and supports the capabilities of a more relaxed mind. In her thought-provoking book, Why the Wild Things Are, psychologist Gail Nelson writes eloquently about animals in the lives of children. She cites studies demonstrating that when animals are present in the classrooms of young children, it helps them gain control of the emotional swings that are part and parcel of early childhood. Dr. Nelson also notes that by third grade, animals are much less in attendance, probably for the same logistical reasons it is hard to bring animals into traditional therapy sessions. In so many ways, animals connect children to a reality larger than themselves. A child who cannot bear to share with his brother or make a concession to please his sister may faithfully walk the dog or forgive a chewed-up baseball glove learning to nurture and empathize in the process. The companionship and devotion typically provided by the family pet can be of great consolation in a hectic household, at times when a child is in the doghouse, dealing with a tough transition, or feeling sad or lonely. If you have a story you’d like to share about how a pet has helped a child you know, please email me. We’ll continue with these thoughts an upcomingFamily Matters. An article by Scott P. Edwards in a recent issue of Brain Work, the neuroscience newsletter of the Dana Foundation, helps to explain why dogs are “man’s best friend.” Humans and dogs have lived in close proximity for such a long time that the closeness has “altered dogs’ cognitive abilities such that they share many personality and behavioral traits with humans.” Anthropologists have learned that domesticated dogs are better at reading human communication, such as glances or pointing, than chimpanzees long believed to be closer to human than any other primate. Dogs may be better than we thought at reading our minds, but fortunately they’re quite good at keeping a secret! I hate to admit it, but I think my 11 year-old son is a compulsive liar. He just never stops making things up even silly things that don’t seem to matter. My husband and I are frustrated because he refuses to acknowledge the lying. What can we do? 1. At a time when no lying has recently taken place, sit down with your child and explain your views on lying. Ideally, all primary caretakers should do this together, making sure your child sees that you are in solidarity about this concern. 2. Say that when you suspect he is not telling the truth, you will ask for proof and that there will be some kind of consequence for lying. 3. 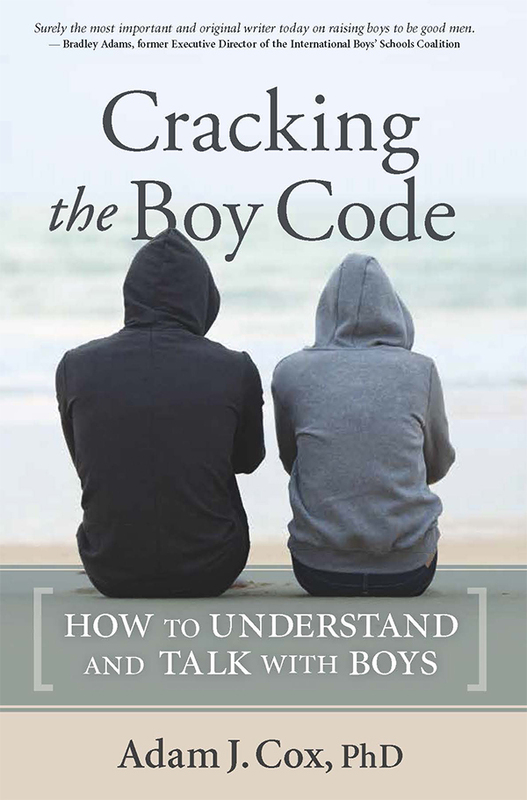 Develop some kind of nonverbal signal you can send your son when you want to let him know your doubts in a public place. Particularly when we embarrass boys, things usually get worse as they feel a stronger need to compensate for increased feelings of vulnerability. Nonverbal signaling allows you to be “on the job” wherever you might be, and control lying that may spiral if not checked. 4. Help your child develop a special type of expertise. By building children’s knowledge we give them authentic opportunities for mastery and confidence. As your child develops his expertise, invite his contributions in discussion where his knowledge will help him shine. 5. Spend time helping your child consider the merits of honesty and genuine expertise vs. the anxiety inherent in lying.